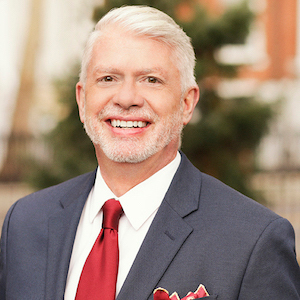 Through his commitment to achieving high-level results, Gary Martin takes every measure to ensure that all of his client’s personal real estate goals are achieved. As a specialist in the Acquisition and Marketing of Residential, Co-ops, Luxury and Investment Properties and through his expertise in Estates and Guardianships; Gary ensures that each client receives exceptional representation. His intimate knowledge of Manhattan and its distinctive communities is invaluable. In representing his clients with the utmost attention and personalized service, Gary takes great care to clearly communicate with and listen to his client's specific needs. When working with sellers, Gary implements effective and resourceful marketing strategies that clearly accentuate each property’s specific features. Skillfully taking every measure to position the seller’s property to stand out in the market place, he designs a beautiful presentation that incorporates professional photography and extensive visibility on multiple internet sites and social media platforms. Regardless of the time and effort it takes, when working with buyers, he works tirelessly to identify key opportunities that meet their lifestyle requirements. He exhibits a relentless commitment to securing just the right property for each buyer. In serving his investor’s interest, he takes great care to properly advise his clients on valuations and covers every angle in researching and providing his clients with the critical information needed to make thoughtful and balanced decisions about their real estate investment. Gary adds value and a rich experience at every interaction. He is very thorough in providing constant communication about each important detail of the transaction and is always extremely attentive, accessible and responds promptly to his clients. Gary isn’t the only one on his team that exhibits tenacity. Buddy, his Boston Terrier/Boxer mix - rescue dog clearly knows how to dig in when necessary. Gary is masterful at finding creative and equitable solutions to make each transaction come together with a positive result and ultimately ensures that each client receives a truly impressive real estate experience. Gary’s community involvement and volunteer activities are in the following areas: Cycle for the Cause (rider), VisualAIDS, New York Choral Society, LGBT Task Force and Equality NY. Contact Gary to serve you and your personal real estate interests.